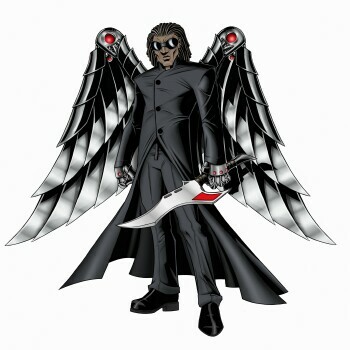 Greetings all, Valkor here. Growing up, the words "Hanna-Barbera" was a household name when it came to cartoons; Tom and Jerry, Yogi Bear, The Flintstones, The Jetsons, and even the Smurfs, were all part of my daily diet of animated goodness. 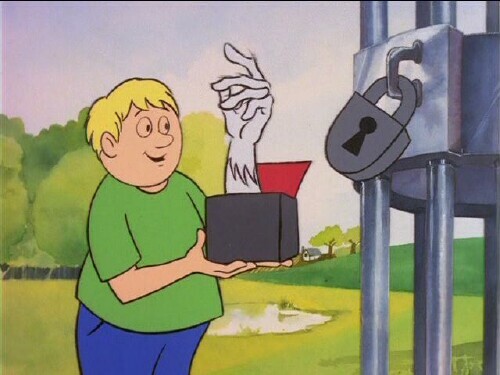 And thanks to the folks at Warner Home, we get a DVD set of a cartoon series that's a little more obscure in the animated scene, but still a household name due to the popular live action series it's based on. 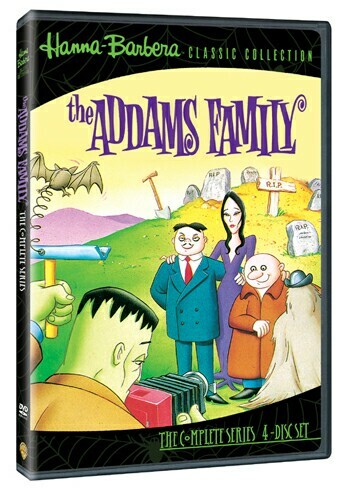 Check out "The Addams Family - The Complete Series" as part of the "Hanna-Barbera Classic Collection". Addams Family in New York – The Addams family arrive in the "Big Apple" and literally take over central park. 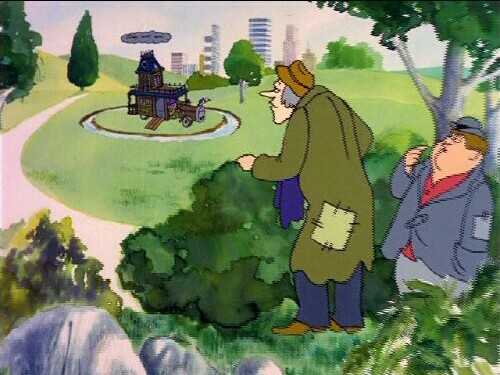 Actually a couple of con artist attempt to swindle the Addams of their fortune by selling them the park and a museum. But the crooks make a big mistake when they try to steal the family fortune. 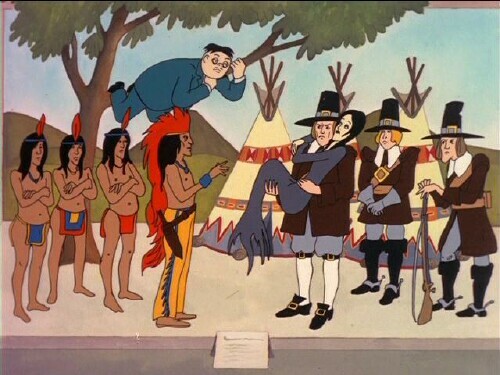 Aloha Hoolamagoola – The Addams arrive in Hawaii and are mistaken for a lost tribe known as the Hoolamagoola. Not only that, they're octopus pet Ocho keeps bringing the family trinkets from who knows where. But a couple of explorers know, and they'll do anything to get their hands on that treasure. 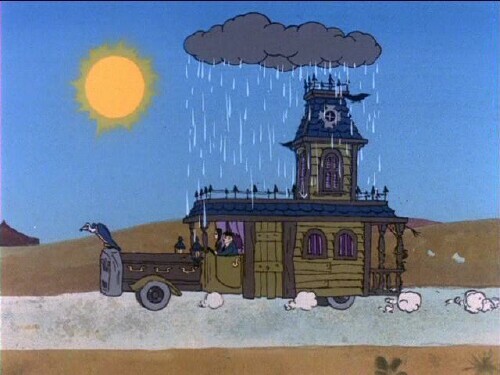 Follow that Loaf of Bread – The family is racing to Chicago, where Morticia will enter her famous bread in a baking competition. 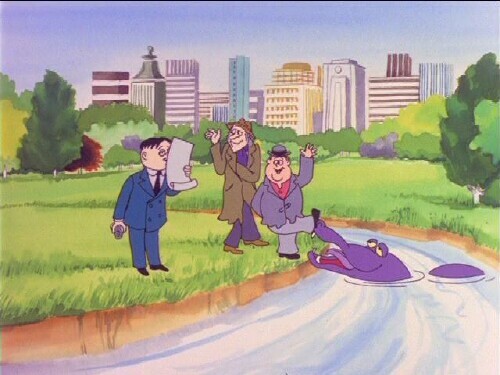 However Thing gets caught in one of the loafs and now the family must do whatever it takes to get him back. I should note that the entire ep isn't about getting Thing back, it mostly centers on Morticia making the bread in time for the contest. The Mardi Gras Story – The Addams arrive in New Orleans in time for the big Mardi Gras parade – and also to unknowingly help a bunch of crooks steal a million bucks from a little old lady. 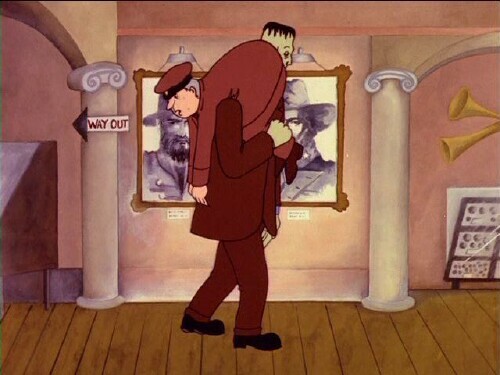 But their idea goes up in smoke when they attempt to pose as Fester and Gomez. 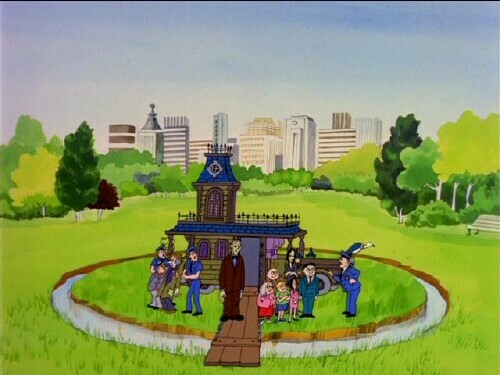 A lot of what you love about the live-action show, Grandma-ma cooking up strange dishes, Gomez passing out money like candy, and Pugsley and Wednesday gettin into all sorts of trouble, all of it is here, captured in animated form, less all the romantics of Gomez and Morticia, but I don't think kids want to see that while eating their Saturday morning cereal. The show also plays up to the more supernatural elements that the live-action series mostly touched upon. 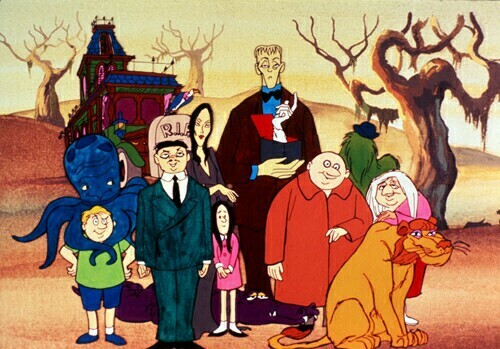 I always thought the Addams were a bunch of rich eccentrics, just playing the morbid role, but the cartoon makes it appear that yes, they are really like that (The live action films in the 90's had a heavy dose of the supernatural as well). So how did the set play out in the Cave? If you're a fan of the live-action series, even the films, then there's much to be enjoyed in this set. Everything you know and love about the family is carried over into the animated world. What makes it even more hysterical, is watching their morbid take as they visit much of America's cities and landmarks. Though it hasn't been remastered, it still looks and sounds excellent, which I believes comes from the DVD-upscaling capabilities of the PS3. 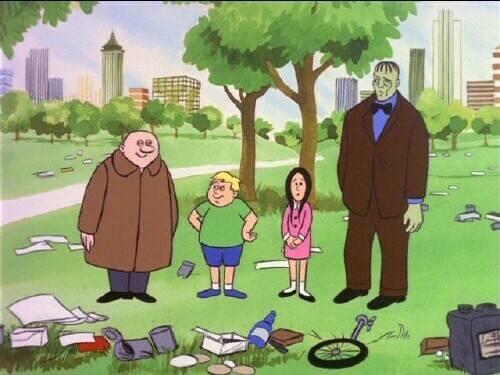 Otherwise the Addams animated adventures hold up quite well today. Why does Gomez sound like Jackie Gleason's Reginald Van Gleason III character? It's actually quite annoying. I forgive a lot of things, but that voice? Yuck! A lot of visible mis-edits, such as missing backdrops, animation that looks like pencil test and no theme song, just a few chords. 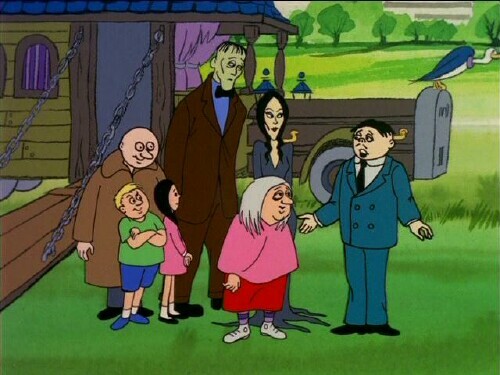 The Addams Family Animated series is available now and should make any fan of the family "disgustingly pleased" this holiday season (their words not mine). And out of TOV 5 stars, I give the set a 3.5 and it's been Valkor tested, TOV Approved.